A line is drawn into the sand this week that cries out for a response not from that in which the eye can see, but from this heart which dwells inside of me. To us, a Savior is born, for this is that which I believe. Finding Christmas can be difficult these days. I mean, finding “Christmas” that is. Of course, finding the Christmas season isn’t that challenging at all. If one has a TV, radio, newspaper, or internet… Christmas is everywhere. For me, I am beginning to find my way back to Christmas after much of the past 15 years was spent on the other side of Christmas… the retail side of it. For starters, with most successful retailers, Christmas is all drawn up and in the can a long time before the sales season of Christmas begins. One would think all that is left is to simply execute the plan and enjoy the rest of the season, right? But, forget about the constant stress and worries of performing up against your competitors as well as your previous year figures or the LONG hours. Forget about the constant worry of whether we purchased the right amount of inventory. Simply surviving the season seems to be the tallest order of business. Of course, depending on the success or lack thereof success in the season, then comes January with job cuts and massive reduction of inventory sales which keeps the season bright, for if but another month, as well. My reflection of this is not to simply complain about the other side of Christmas. Quite frankly, it is what happens in these two months of sales that keeps a lot of people working all over the world. In this day and age, take what you can get, work the hours required, and be grateful. But, for me… finding Christmas must start where I lost Christmas. I loved my job. I loved helping people find the right present for that special someone. I loved the decorations, the lights, and the music. (I still do.) I loved the rush of the crowds (not so much.) as well as seeking to find a way to bring about smiles on the faces of those standing within the long lines. However, that being said… Christmas was lost when it became a blur. Certainly, I would take the brief moments of time to spend with family and friends. I would go to the parties, play in the church services, and watch with joy as my wife and daughter opened their gifts. But, what’s a brief moment actually worth when it is void of pause to truly reflect in that which this is all about in the first place? A life void of rest is merely living off the snapshots of a blurred landscape. I want to find Christmas again. I want to look upon the gift that was given 2000 years ago with the excitement of a little child on Christmas morn. In the midst of all this gift giving, I want to pause and reflect on the greatest gift of all. I want to know what a, “Thrill of hope, a weary world rejoices” really means and looks like. For the weary are not just among us, they stand before us as we too, look into the mirror. Only this thrill of hope could cause the weary to rejoice. Only this thrill of hope that we sing of can cause my heart to rejoice. If clarity is the antidote to anxiety, then a blurred landscape is the result of a life driven by this anxiety we speak of. We might not know this, yet. But, when we take a moment to ponder on that which has become blurred, perhaps a clear vision will appear that will bring a peace forth that only this Gift could bring? Life is too beautiful to not see clearly the heart of that which surrounds you. I am convinced that only the blind among us have found this out. For with them, it is the sound of the heartbeat that guides their steps. To those on the streets this Christmas, a warm meal, clothing, and the acknowledgment of them being somebody can be a reflection of that Gift. In pursuit of finding Christmas, will you be this reflection? However, to those in the poverty stricken countries of the third world, we have sang the song, but what have we done? Funny, in it’s truest sense, I often wonder… do I? Or am I too busy living off the snapshots of a blurred landscape to experience the beauty of this Gift? I often wonder if I were to take a moment and look within my own life, would I find this Gift there? There’s no doubt it has been given. It’s just a matter if whether I have ever taken a moment to truly receive it, instead of working so hard in an attempt to earn it. Perhaps, only the reflection of how my life was spent, void of trumpeting my accomplishments will answer this question. You cannot earn that which was set apart for one to receive freely and void of strings. Emmanuel has come. This we know. But, it is about what He came to do that causes a line to be drawn into the sand this week that cries out for a response not from that in which the eye can see, but from this heart which dwells inside of me. 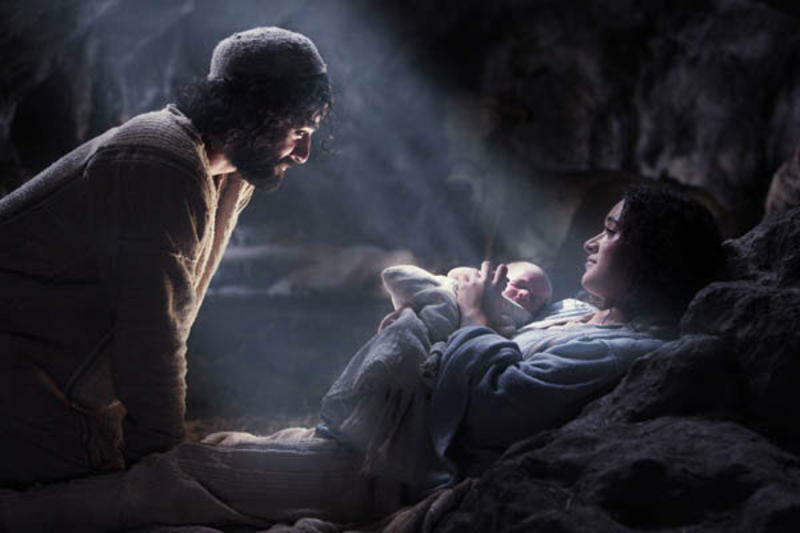 To us, a Savior is born, for this is that which I believe. I love it! Way to go brother.